From kid-friendly designs and parental controls to budget-friendly options for teens, we're covering everything you need to consider when picking out a phone for the kids in your life. For some parents, the absolute best phone for kids is no phone at all. For others, it's the one you're comfortable with them having. One they can use safely and responsibly while sticking to any rules you laid out for them. From simple phones designed specifically for children, to affordable options for teens or young adults...this guide will show you what we think are the best options in Canada for 2019! The KISA Phone is one of the most interesting options we found in our search for the best cell phones for kids. Featuring a stylish yet rugged design, the phone is similar in size to a modern smartphone but ditches the touchscreens and apps for a straightforward, physical button interface. You can choose how many buttons the phone has at the time of order and each is assigned a label and a number. Placing a call requires a push of the appropriate button. The option to use pictures on buttons provides added simplicity for younger children. 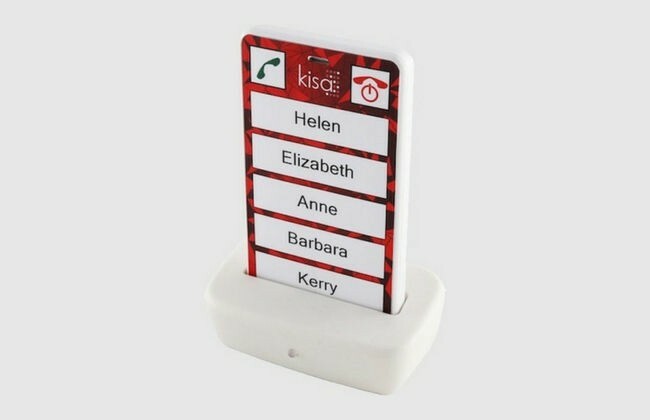 Should you need to change the numbers assigned to each button, you contact KISA and they can make the changes for you. Additional features include GPS tracking, an emergency mode and an optional charging cradle if you worry about small hands and cords. While the company is based out of Australia, the phone supports GSM networks around the world and will work in Canada. Pricing is slightly higher if you’re using your own SIM. However, when you consider the added durability of the phone, we feel the price is competitive as you won’t need to replace it anytime soon. 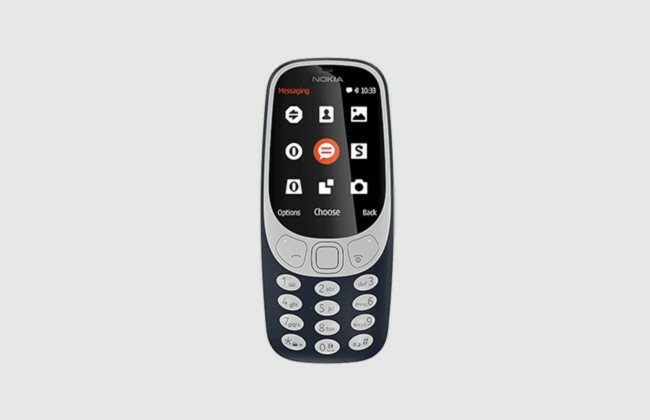 If you’re looking for something a little more like a traditional mobile phone, the Nokia 3310 3G offers similar features in a classic phone format. You can buy it unlocked for around $90 and use it on most carriers including Rogers, Telus and Bell. The phone offers MP3 playback, a camera, and headphone support -- through both Bluetooth and 3.5mm headphone jack. You can even put a microSD card in to add more storage if you'd like. It's a modern take on the basic phone. And while it doesn't offer all of the bells and whistles of a smartphone, it still looks cool enough that the kids might not mind carrying it around. It seems that while phones get fancier each year, we’re doing less calling on them than ever before. For younger generations, texting and IM is likely more common than actual phone calls. That said, if you don't want your young teen having a smartphone, the best option is likely a classic flip phone -- such as the Alcatel Go Flip -- or a "dumb" phone like the Nokia 3310 3G recommended above. You'll find more great options in our best dumb phone and best flip phone guides. If your kids want to text but you don’t want them to have the full features of a smartphone, full-keyboard and slider phones are an excellent choice. They still get to talk with friends and you don’t have to worry about endless app downloads or a surprise on your monthly bill due to a weekend-long YouTube binge. Most major carriers still offer at least one feature phone option with a full keyboard. Just watch the price. Often, they can cost as much as -- and sometimes more than -- an entry-level smartphone. However, while the 2MP camera used is perfect for quick snapshots or social media don’t expect amazing pictures. NOTE: Many basic phones don't support Wi-Fi connections. While this might be great for limiting access to things you don’t want your kids browsing, it is a limitation as they grow older. This also means that they will need to rely on data if you’re planning to let them use email or social media features. While feature phones are often quite light on data, this will result in extra monthly costs. If you don't mind your child having a smartphone (or they won't have it any other way), have a look at our smartphone picks for teens below. Each of our recommendations are reliable options with relatively affordable prices. And, if you want to ensure safe and responsible usage, you can add parental controls. 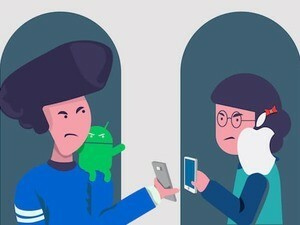 While the original iPhone and early Android phones forever changed the way the world communicates, smartphones aren’t the revolutionary things they once were. Today, you can find Android phones in the mid-$100s that would run circles around these earlier devices. 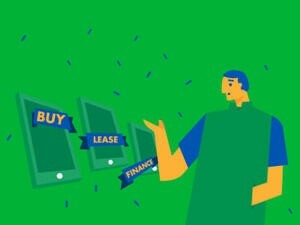 Jump into the $200s and you have a full line of options that are more than enough for most teens. 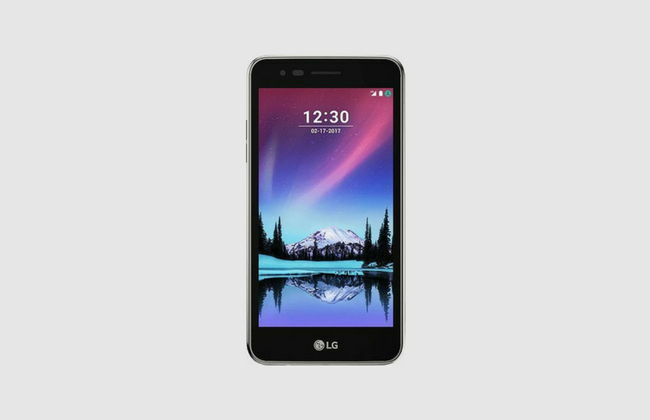 The LG K4 is a respectable entry-level smartphone. It features a 5-inch, 480p display and 1GB of RAM. 8Gb of internal storage will make due for a basic selection of apps, games and media. However, you’ll likely want to look into a microSD card to ensure there’s plenty of room available. With support for a range of prepaid and postpaid carriers, there’s a good chance you can find a plan to suit your budget as well. Upgrading to the Moto G5 , you'll find a larger 5-inch 1080p screen, a faster processor and double the RAM. The 13MP camera will take images rivaling most entry level point-and-shoot cameras. Support for microSD cards ensures plenty of room of music, apps and other media as well. However, it comes at more than double the cost of the LG K4. If you’re looking for a full-featured phone for a responsible teen, we think this is a superb option. However, if you have any concerns about misuse or you’re looking for a younger child, sticking with the LG K4 will provide most of the functionality at half the price. It seems everywhere you look these days, there's a kid with an iPhone. There's a good chance your kids have asked you for one as well. However, the latest iPhone doesn't come cheap. This makes us hesitant to recommend a new iPhone for kids or teens. Even with phone insurance , you'll likely pay more for a replacement if it's broken than our previous teen-friendly recommendations. However, if you're willing to buy used or refurbished, iPhones from the past generation or two are still very capable mobile devices. For example, depending on your carrier and internal storage preferences, Orchard offers three different iPhone 5 models with prices ranging between $160 and $280. Just remember, iPhones don't support microSD cards. So choose a model with plenty of storage. Any other options for me? Yep. Blu also makes a variety of Android phones with budget-friendly prices . Options start at around $40 with high-end phones topping out around $200. All options are unlocked from the factory and many are quad-band phones. This means you can use them on nearly any GSM carrier network--including popular prepaid options. Entry level phones -- such as the Studio X8 HD and Advance 5.2 -- are great for younger kids with their smaller screens and lower prices. 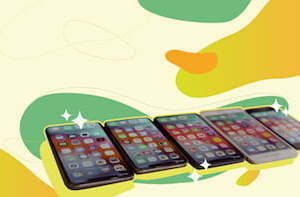 The top end phones -- such as the VIVO 5R , LIFE ONE X3 and Vivo 8L -- offer many of the features of flagship phones at a price that is easier to stomach. Better still, if the phone is dropped in the pool or left at the mall, you’re not out $500+. Blu constantly releases new phone models, so we won’t get in-depth with details. However, in our opinion these are some good ranges depending on your needs. To help with your search, you can use our phone finder tool to filter phones based on screen size and other criteria. If your kids play a lot of games or have a large collection of downloaded videos or music, choosing a phone with microSD card support will ensure they can fit their favorites on their phone. For internal storage, we recommend starting with a minimum of 8GB, though 16GB is preferable. The apps added by the manufacturer or carrier and the operating system all take up room on the phone. In most cases, you can count on these default apps taking up at least 1GB of storage space. While the exact features you might need will differ based on the age of your child and what you want them to do (or not be able to do) with their phone, we felt these considerations offered benefits to any age group. Affordability: Even as adults, accidents happen. Handing a kid a $600 phone sounds like a recipe for disaster to us. Kid-Centric Features: While a kid can use most any device out there--sometimes better than us--we wanted to find options that offered specific benefits to a range of ages and skill levels. Good Battery Life: If the phone only lasts an hour before it dies, it’s not going to do much to keep the kids from coming after your phone to play games. If you’re using it for emergency calling or to keep tabs on their location, extended battery life also adds peace of mind. Durability: While the rugged options out there are probably out of the price range of most kids phone budgets, we wanted to find options that will stand up to the occasional tumble and deal with being tossed in bag or sat on from time to time. Regardless of which phone you choose, have options to help encourage healthy phone habits and discourage your kids from using their phone in ways you wouldn't approve. Parental control apps and services let you track what your child does with their mobile device or place restrictions on features. 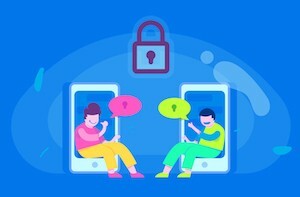 Most major carriers offer a form of parental controls or allow you to limit the number of minutes, messages, or data your child or teen can use. These carrier services are basic at best, but can be effective in teaching healthy habits or keeping the kids from blowing through all of the data on your plan. 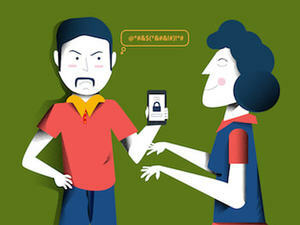 The parental controls available increase greatly if your child has a smartphone. In addition to the features offered by your carrier, there's also a range of apps available. 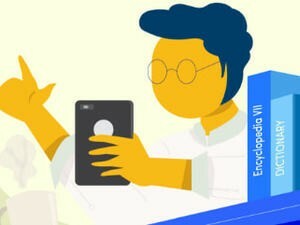 These apps help you restrict everything from the sites your child browses and apps they download to when and how they can use their phones. Android phones (with Android 7.0 or newer) can download Google's Family Link. It has an easy-to-use set of controls and integrates directly into the phone's software. To use the service you install two apps. One on your child's phone to add protection and the other, a parental version, on your phone to control features. 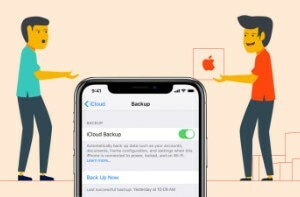 Apple offers a similar feature on all iPhones and iPads running iOS 12 or newer called Screen Time. It allows you to set what content can be viewed based on ratings, control purchases, track usage, and more. It's also built into the phone's software, so there's no need to install anything extra -- and the kids can't uninstall the app either. You can configure settings directly on your child's device or using your own iPhone or iPad. For a full list of features and instructions, consult Apple's Screen Time support page. Each of these works a little differently and costs vary. However, most offer free trials or feature-limited versions so you can try before you buy to see which is best for you and your kids. Depending on your kids’ wants and needs, they might not need a full-time phone of their own. We’ve found a few options that might work for extremely light use or situations where calling or mobile data service isn’t required. Own an iPod Touch or Tablet? 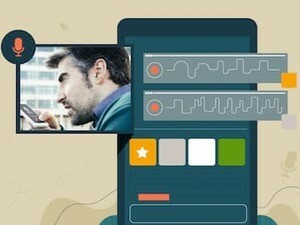 You can use apps to simulate many features from a smartphone. With regular access to Wi-Fi, you might get away without any monthly cost at all! There’s a good chance your kids already have Google or Facebook accounts. If so, both Messenger and Google Hangouts allow voice calling over Wi-Fi. 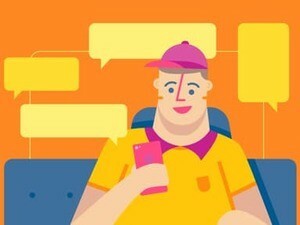 If you’d prefer to keep your kids off social media, Viber and WhatsApp offer voice calling features as well--though their friends will need to have the app too. And what if I want a more phone-like experience? As long as the device has a microphone, you can use Fongo to add a phone number to it for a small yearly subscription fee. This number can send and receive text messages and place calls to other mobiles or landlines. Currently, the plan includes unlimited calling and texting in Canada so you don’t need to worry about bill shock if the kids talk all afternoon. The old phone collecting dust in your office drawer might be a great fit for your teen. You've already bought it, so you don't have to worry about costs should they break it. Most carriers will also unlock phones for a fee should you need to use the phone with a new carrier. For even more savings, you can use the method listed above for tablets and iPod touches to use VoIP instead. However, if your teen is on the go, they might have trouble using features unless Wi-Fi access is nearby. 3. No Phone at All! Although the number of younger kids with cell phones is increasing -- and they might tell you all their friends have one -- there was a time when we all made it through our day without one. Just because they want it, doesn't mean they need it. Concerns about privacy, online harassment and exposure to content you don't want children seeing are very real. Phones can also become addictive distractions for some children. And once you open the floodgate, it can be hard to wrangle back control of their usage. If these concerns or any other has you holding out and feeling that the best phone for your kids is none at all, you won't be alone. There's nothing wrong with no phone at all. Ultimately, it is up to you to know what features are best for your child and what you’re comfortable with. We hope this guide helped to highlight the best options out there and answer any questions you might have. If you’re one of the many parents out there that think cell phones and kids shouldn’t mix, let us know why in the comments! On the other side, if this guide helped you find the perfect phone for your kid or we missed a question you might have, we’d love to hear from you too! A lot of readers have asked about Verizon's LG Migo and AT&T's Firefly cell phones. Both of those models have been discontinued. The Firefly, which looked a bit like a ladybug, was available through AT&T's online store (not it's land-based stores) for a while but has since disappeared. The LG Migo (the beetle-looking device at Verizon), on the other hand, was discontinued indefinitely. Verizon did not say exactly why the Migo was dropped. Those models were two of the first phones targeted directly at young children. They GPS trackers with a "chaperoning" feature, and both similarly lacked the 10-digit alphanumeric keypad found in regular phones. OnePlus 6 is love, Oneplus 6 is life.... Right now I am in the dilemma between wanting a phone and not wanting one. I want that cool device, but I don't want to get distracted from school since I am doing so well. I want to get a cell phone for my 8-year-old granddaughter. Her mother doesn't have a land line and she wants to be able to phone her dad. People don't realize that there are circumstances when a child needs her own phone, especially in the case of a child wanting to get in touch with her non-custodial parent. i say wait and get a good phone that u can play on and that has touch screen or a bb, get something good that u can txt, phone nd use the internet! but wait 4 a gud age, like u don't need a phone at 7, like wat r u gonna do wiff it? phone? i'm 13 and only getting a phone and i'm happy, an i'm getting a gud 1!!!! i think kids should have cell phones at age 7 cuz if u r in trouble then who r u gunna call? anyways im 8 and i am allowed to text on my moms or dads iphones but i want to txt my OWN friends!